The weather here in Mesa has been relatively mild lately, but the heat of the summer will be here before we know it. It’s essential to have a fully operational pool when the hottest days of the year arrive, and there’s no better time than now to invest in pool repairs! In today’s post, we’ll explain five of the most common signs that it’s time to call a professional pool maintenance company for repairs. If you’re experiencing any of these issues, or another problem altogether, then get in touch with Take 10 Pools to schedule an appointment. We’ve helped hundreds of residential and commercial clients in Mesa and the surrounding areas restore their pools, and we would love to help you, too! As a pool owner, you know just how important it is to keep your water clean. Between algae, insects, and anything else the elements blow into the water, your pool filter needs to be in working order at all times. While algae growth is a clear sign that your pool filter isn’t working properly, you should also monitor how often you’re cleaning your pool. 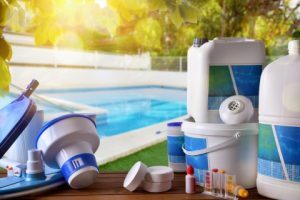 If you have to clean dirt, sand, and other debris from the bottom of your pool more than twice each month, then it may be time to consider repairing or replacing your pool filter. Pool lights are easy to forget about, but they’re an important aspect of your home’s safety. You certainly don’t want your home to be the scene of an accident, so you and your guests need to be able to see inside the pool if you’re diving in at night. Moreover, changing a broken pool light is more complicated than changing a traditional light bulb. 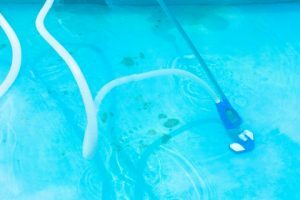 Instead of risking electrocution or potentially causing further damage, let our pool repair experts handle all of your lighting needs. Are the tiles in and around your pool beginning to crack or split? 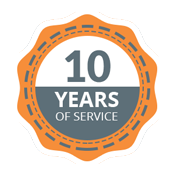 If so, then you should consider speaking to a member of Take 10 Pools about pool resurfacing. Cracks can be a safety hazard for anyone who dives in, and they can also allow water to escape and cause your monthly water bill to skyrocket. We provide fast and affordable pool resurfacing in Mesa, and we know that you’ll love the final outcome! Whether you’re driving, doing chores around the house, or getting ready to cool off in your pool after a long day of work, hearing odd and unexpected noises is one of the most unsettling experiences you can have. While we won’t take the time to list every possible noise your pool could be making, you know which noises your machinery makes on a regular basis. If something doesn’t sound right, trust your intuition and call a member of Take 10 Pools to schedule a pool repair appointment. We’ll take a close look at all of your pool’s components and make sure that everything is working as it should. When it comes to cars, pools, HVAC systems, and other costly pieces of machinery, it’s always hard to determine whether you should repair or replace a component. That being said, if you’ve had to invest in pool repairs for the same component several times, then it’s probably worth speaking to one of our pool technicians about purchasing a replacement. You don’t want to spend more money than you already do maintaining your pool, and you certainly don’t want to spend your hard-earned money on repairs that won’t ultimately benefit you! If you’ve been having trouble with the same component for a period of time, then give our pool repair experts a call and we’ll gladly find a replacement for you. We hope that today’s post will help you determine if your backyard oasis needs to be examined by one of our pool maintenance experts. Keep an eye on our blog, as we’ll continue to provide you with information about pool care, maintenance, and a variety of other topics throughout the year. 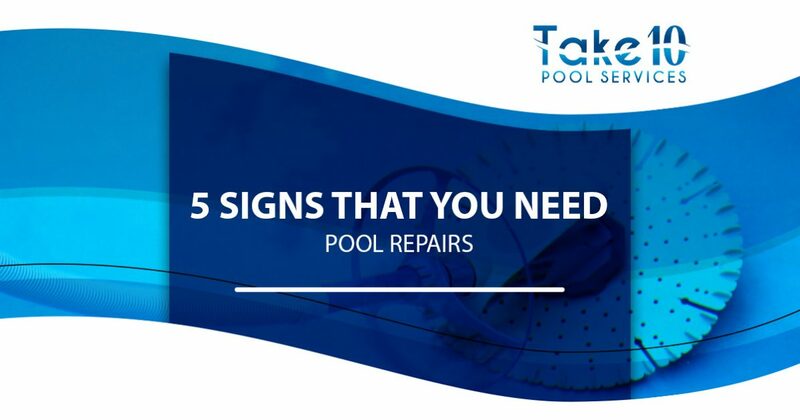 If you’re ready to schedule a residential pool repair appointment, then contact a member of Take 10 Pools through this page, or fill out the form below to provide us with a bit of information about your circumstances!